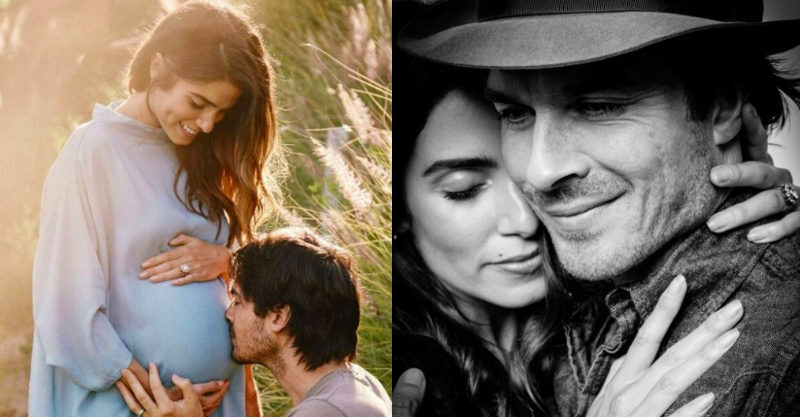 The celebrity pregnancy announcements keep rolling in, with actors Nikki Reed and Ian Somerhalder each posting a touching message to their unborn baby on Instagram. Twilight star Nikki Reed took to Instagram today to announce the exciting news that she’s expecting her first child with husband Ian Somerhalder. The 28-year-old actress posted a beautiful sun-drenched photo of Vampire Diaries actor Ian kissing her pregnant belly. We’ve loved watching Nikki and Ian on our screens all these years, so we can’t wait to see how they’ll embrace parenthood together. The couple married in 2015, and only just celebrated their two year wedding anniversary last month. These guys are so damn in love. We wish them the very best with their soon-to-arrive baby!